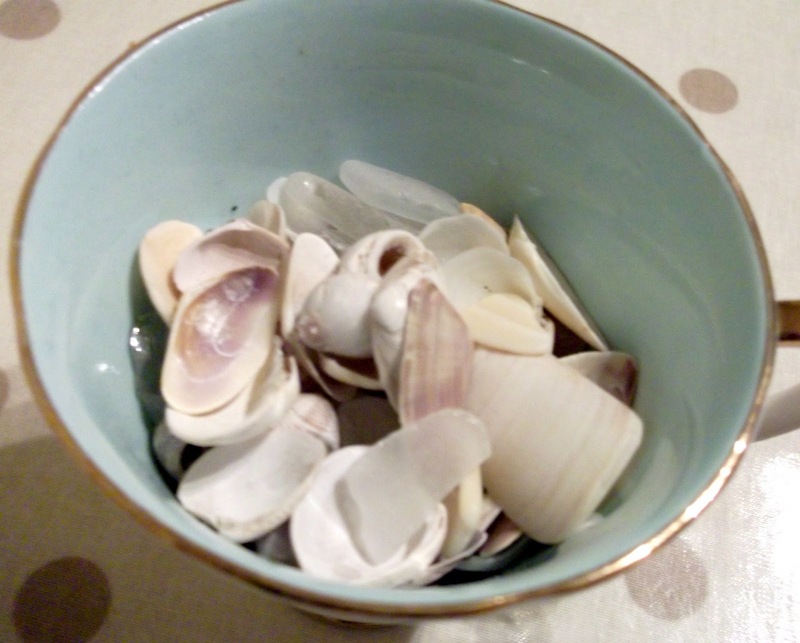 Over the summer I have been collecting small white shells from my local beach as and when I found them. 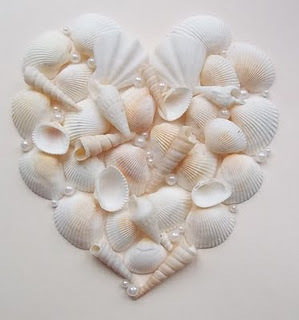 Shell and Pearl Heart by Blueberry Heart. 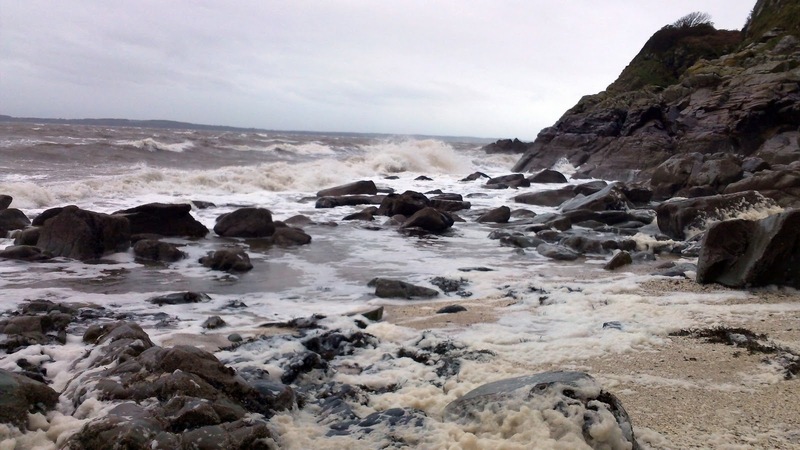 ...but imagine my delight when I spotted this cove with a full beach of small white shells just feet from our place. Yay! I hit the motherlode. Bag full! Can't wait to get cracking with this little make and it will be a nice memento of our break. 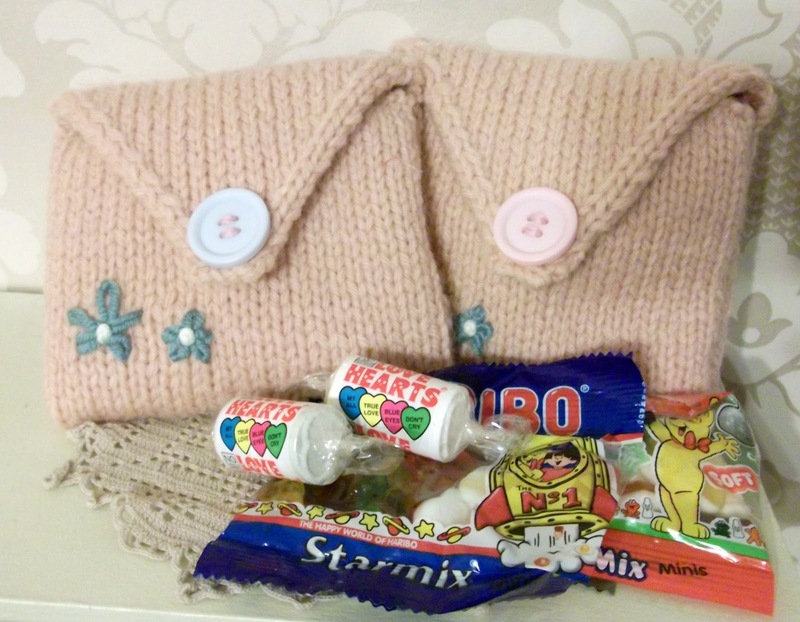 A couple of knitted purses for Annie's Christmas Shoe Box Appeal ~ I'll pop these in the post this week chick. 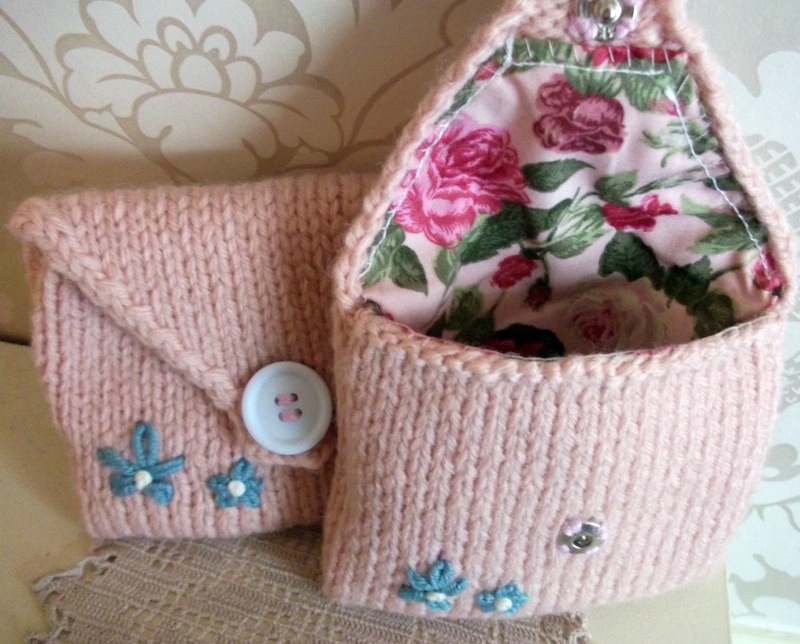 This is a really simple pattern, if anyone want's a copy give me a shout and I'll pass it on. 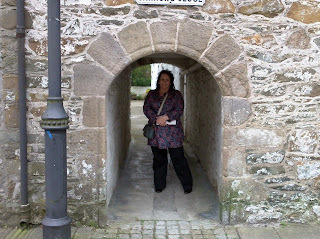 I won't bore you silly with holiday photos, but I will share these two. 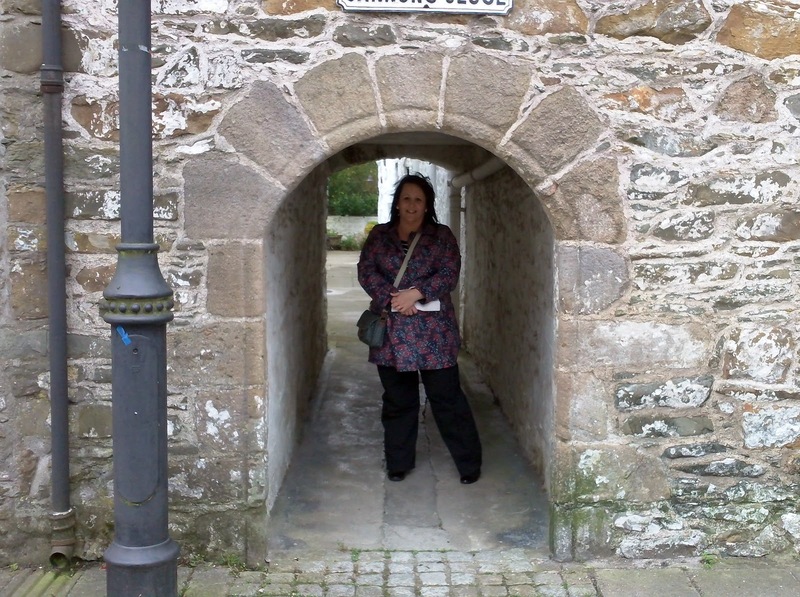 My hubbie and I are ardent film fans and whilst staying in the Dumfries and Galloway area we decided to follow the Wicker Man trail. It's a film we both love, a cult classic from 1973 (the year I was born). 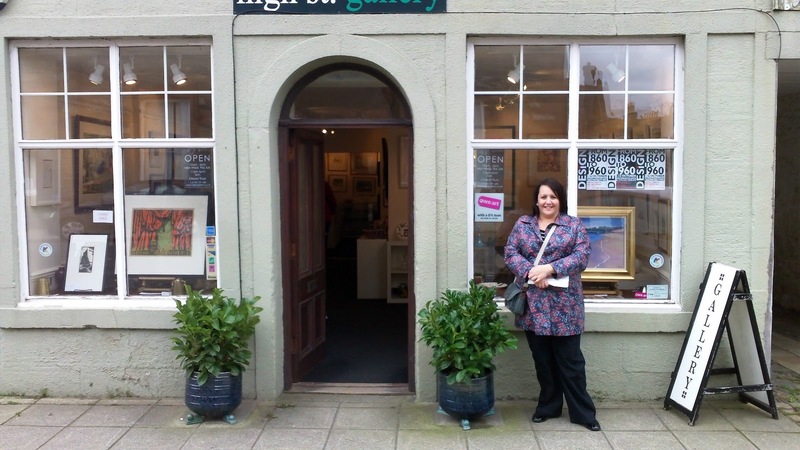 The story is set on the fictional Scottish Island of Summerisle but was infact filmed in various locations in and around the Dumfries and Galloway area. Right I'm off for a catch up on all your blogs and hopefully I will be able to comment, it seems blogger is playing funny beggars again! Great post! I love The Wicker Man too. I hated the Nicholas Cage remake. What was that about?! Can't wait to see your shell heart, honey. I'm sure it will be lovely. Yep, don't get me started on Blogger! It used to be that, if I didn't stay signed in, it would work. Now it makes no difference whether I'm signed in or not. I can't comment on embedded comment boxes at all. It's rubbish! Some great ideas! Thanks for sharing the link to Blueberry Heart's blog. Happy day to you! I love those little purses, I must must must learn to work with wool! 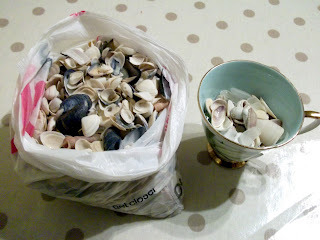 OMG what a load of shells - more than enough for several pictures I'd think. 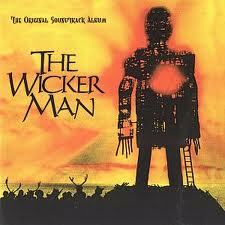 I haven't seen wicker Man, must put that on my 'to watch' list! omg! fabulous darling!!!!! You are such a doll! And those shells! I collect vintage goldfish bowls and I put all the shells and stones from each trip into a seperate one so I get a globe full of memories for each trip! As for blogger, the amount of posts that have f*cking disapeared after I have spent an age typing them! !